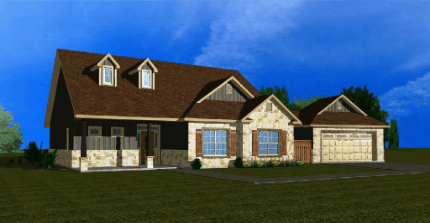 Great House Plans - MF Construction Inc.
Frank Pendleton is the master behind Great House Plans. He provides drafting and design services in the greater Temple, Texas area. Prompt, reliable, friendly, and accurate services are his deliverables. Revisions and last minute changes are processed quickly. Additional services include cabinetry, site plan, details, cross sections, and elaborate 3D renderings. Great House Plans can work from phone calls, pictures, sketches, emails and personal meetings. Frank does everything from signature series to 2,000 sq ft ranch homes and light commercial buildings. Reach him at 254-228-7817 or visit his website www.gr8houseplans.com.